Roulette is one of the oldest casino games in the industry. Roulette was invented in 1655 by Blaise Pascal, a French scientist, mathematician, writer and inventor. Ever since its creation, there is an assortment of roulette variants that exist. These vary on the wheel and the method the game is played in. Roulette is often categorised into American Roulette, European Roulette and French Roulette. Then it is broken down into other variations. 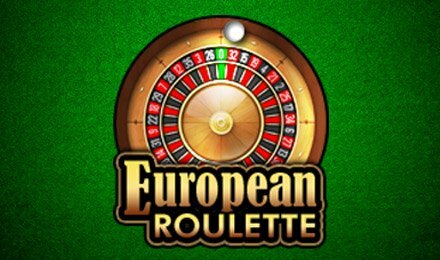 European Roulette Pro can be played at Wicked Jackpots Casino on your mobile, desktop or tablet! Meaning, you can take your gameplay with you on the move! The wheel consists of a 37-numbered wheel plus a 0 slot. The game is played on the classic green table on a wonderful and organised layout! Select your stakes by clicking the chips of the coin you would like to bet. After selecting your bets, place them on the main betting area or the Racetrack Betting Area. Once you’re done placing your bets, spin the wheel by clicking the Spin button. The aim of the game is to correctly guess where the roulette ball will land. Bet Levels: No bet levels present. Amount of Paylines Selection: No paylines available. Coin Values: Set your bets from values of; £0.01, £0.05, £1, £25, £100, £500, £1,000 and £5,000. Double Bets: This option doubles the value of the bet value you have placed. Neighbour Bets: When a bet is placed, the number surrounding it on either side is selected as well. These five numbers make up the neighbour bet. If you enjoyed European Roulette Pro at Wicked Jackpots, then there’s more to enjoy right here! Enjoy the series of roulette games available while you bag up big wins!